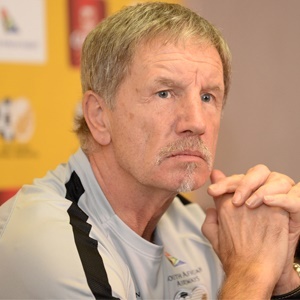 Cape Town - Bafana Bafana coach Stuart Baxter explained the national team went to Tunisia via Germany as it made the most logistical and practical sense. Bafana are set to face Libya on Sunday in a crucial Africa Cup of Nations Group E qualifier at the Stade Taieb Mhiri in Sfax. South Africa require a point to advance to the AFCON tournament in Egypt, whereas, the Mediterranean Knights need a victory. The clash is being played in a neutral venue due to the Libyan civil war. Speaking to the media, Baxter explained why the national team took the route they did to get to North Africa. He said: "Looking at all sorts of ways of solving the logistical problems and we had plans, one, was stopping in different places to refuel and two getting there and not having adequate training facilities. "So I am happy with the solution now, which is a flight with SAA into Frankfurt, and to hop aboard a two-hour flight and camp in to Tunis and then a 3 and a half hour bus trip. "Hopefully we will have two sessions at the stadium. I think that's a good solution."